Is Medicare fraud really that b ig of a problem? After all, doesn’t fraud exist in almost every sector of the economy? Why focus so much energy on one issue? As recently filed charges in one case show, Medicare fraud is an enormous problem that costs our government billions of dollars every year. Stealing from the government is, in essence, stealing from every single taxpayer. Medicare fraud diverts money from those who truly need and deserve health care services and puts the money in the pockets of wrongdoers. At the same time, there is also very specific, personal harm to patients whose providers are involved in fraudulent schemes, patients whose health is put in jeopardy because a provider puts profit over care. Late last month, Assistant Attorney General Leslie R. Caldwell publicly announced the unsealing of charges in what she called “the largest single criminal health care fraud case ever brought against individuals by the Department of Justice.” The case involves allegations of fraudulent billing that total over $1 billion. The allegations are focused on a group in South Florida, a region particularly hard hit by Medicare fraud. As Caldwell explained, charges have been filed against three individuals connected with a network of health care facilities in South Florida. According to the government, the defendants paid bribes and kickbacks in order to get patients admitted to their facilities and then administered unnecessary, and sometimes outright harmful, treatment to the patients. The defendants allegedly worked the system meticulously, moving patients between facilities when they hit Medicare-imposed limits on the length of a stay in order to run up the bill. Those who commit Medicare fraud by filing false claims, paying or receiving bribes or kickbacks, and by engaging in fraudulent medical practices jeopardize the integrity of the taxpayer-funded benefit programs that millions of Americans rely on every day for their well-being. These criminals abuse basic bonds of trust – between patient and caregiver; between taxpayer and government – and pervert them for their own ends. This case should be a warning to other criminals who would seek to enrich themselves at the expense of the American people: we will use all of the data and tools available to us to root out and stop fraud to help ensure that Medicare remains strong for years to come. The fight against Medicare fraud occurs on multiple fronts and involves both civil and criminal authorities. Notably, as stated in the press release that accompanied Caldwell’s speech, the criminal allegations in the case discussed above were preceded by a civil case which resulted in a $15.4 million settlement. While it is the government’s job to bring criminal actions, private individuals can join the fight by using the False Claims Act to file civil suits on the government’s behalf. The Act protects whistleblowers and rewards them if their actions lead to a recovery of funds. It is often only because of honest whistleblowers that Medicare fraud is brought to light. These civil suits may also lead to related criminal charges. Medicare fraud is a massive problem with far-reaching impact. 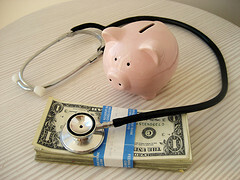 As a Medicare fraud law firm, we are committed to bringing an end to health care fraud. Partnering with individual whistleblowers, we use the False Claims Act to return wrongfully diverted money back to those in need. If you believe you have witnessed Medicare fraud, you can be part of our fight. Call us today. Remember: Staying silent only perpetuates the wrongs.